Quiz: Could you pass Donald Trump's cognitive test? This quiz is based on an example of the MoCA test that assesses an individual's language, memory and visuo-spatial skills - among other functions. The MoCA may be used to support the diagnosis of dementia. Elsewhere in the world: You can find details of your local Alzheimer's Association here. 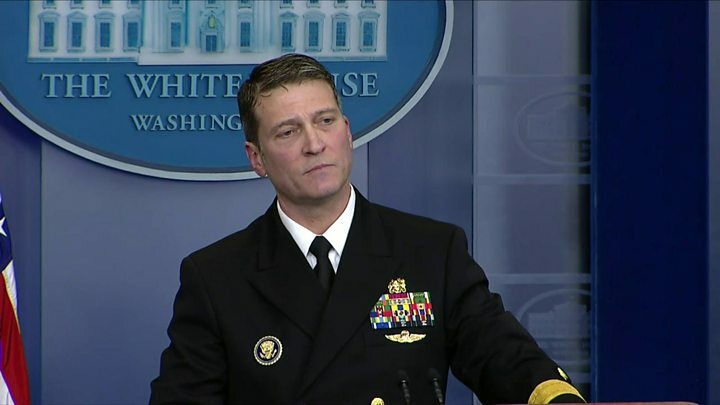 Media captionPresident Trump "has incredible genes"
Donald Trump's medical: What will it reveal?